I love DIY recipes, and I currently have an abundance of tomatoes coming from my garden. 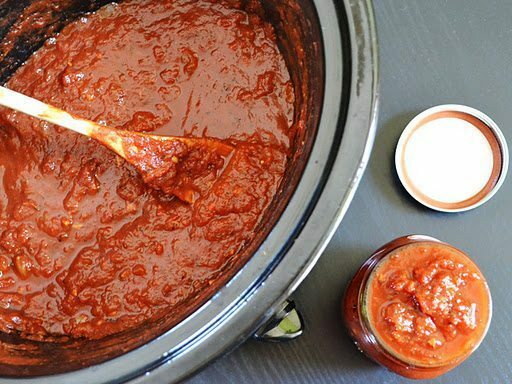 Now is the perfect time to make your own pasta sauce in the slow cooker! For sauce, in a 3 1/2- or 4-quart slow cooker combine undrained tomatoes, carrots, celery, onion, sweet pepper, tomato paste, water, garlic, sugar, Italian seasoning, salt, black pepper, and bay leaf. Remove bay leaf; discard. Toss sauce with hot pasta, or store in air tight containers in the fridge or freezer when cooled. Keeps 1 week in the fridge or 3-4 months in the freezer. ** Canning** You can also can your homemade sauce too.